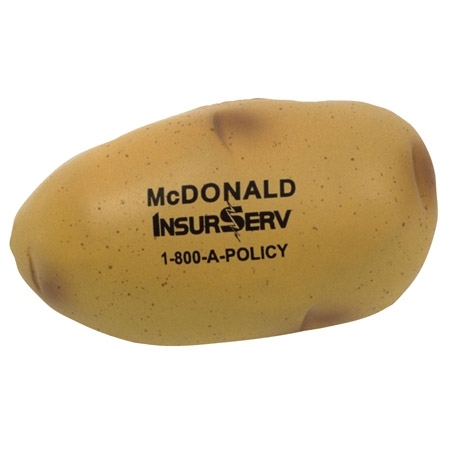 Potato Stress Ball is made of Squeezable polyurethane foam. Hungry for a fresh approach to advertising? Try our food-shaped stress relievers! Ideal for restaurants, grocery stores and corporate events, customize these tasty toys with your company name and logo to create a campaign customers can sink their teeth into! Safety tested, this item is intended for adults or for general use by consumers of all ages. Our products are not intended for children under three years old or for pets. Bulk / 14 lbs / 200 pcs. / 22x15x14 box.